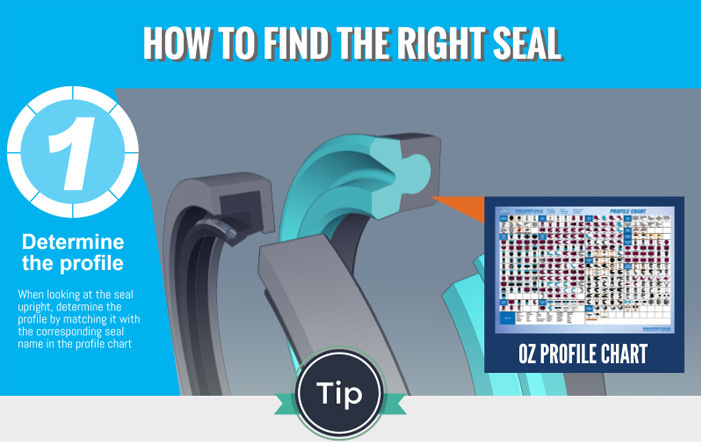 Finding the right type of hydraulic seal or pneumatic seal can be easier than you think. While there are hundreds of various seal types, often finding out can be just a matter of handing the seal to an expert. At Oz Seals, every day we deal with seals ranging from hydraulic seals, mining seals, pneumatic seals, wiper seals, guide rings, single acting seals, double acting seals, rotary seals, vee-pack seals and o-rings. For those of you who are just getting started, we’ve put together a handy little guide with a few pointers in the infographic below. When looking at the seal upright, determine the profile by matching it with the corresponding seal name in the profile chart. 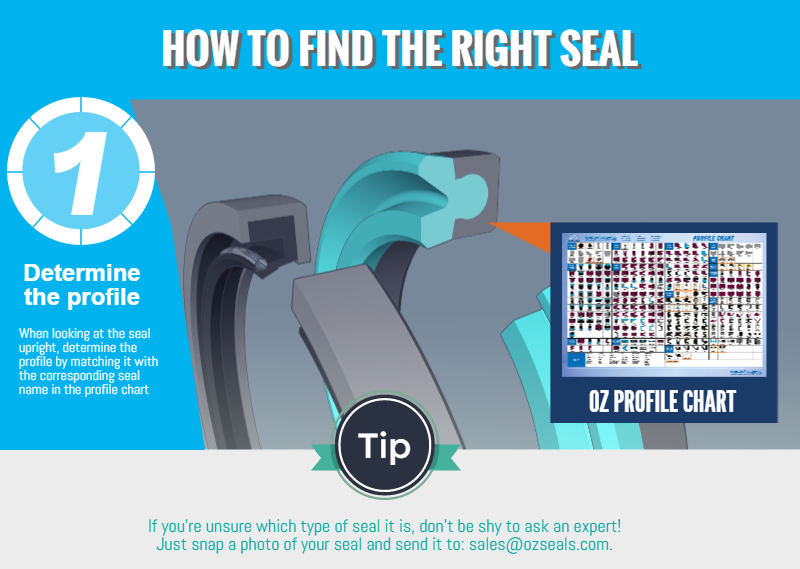 Tip: If you’re unsure about which type of seal, don’t be shy to ask an expert. Use a good vernier to take accurate dimensions. Your seal will be sourced or manufactured to these exact dimensions, so it’s important to get them as accurate as possible. Dimensions can be in metric or imperial. 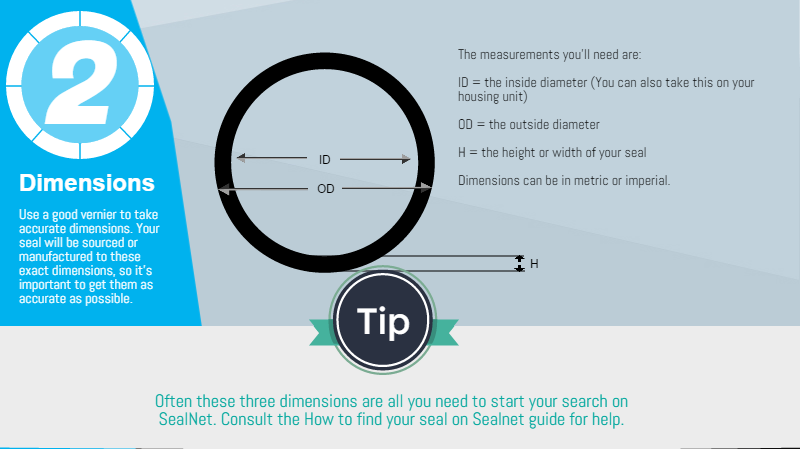 Tip: Often these three dimensions are all you need to start your search on SealNet. The material is determined by the application. If the seal is subjected to routine failures, then you may like to consider using a better grade material. Usually this is only a few dollars more but can save you in maintenance costs. Still stuck? 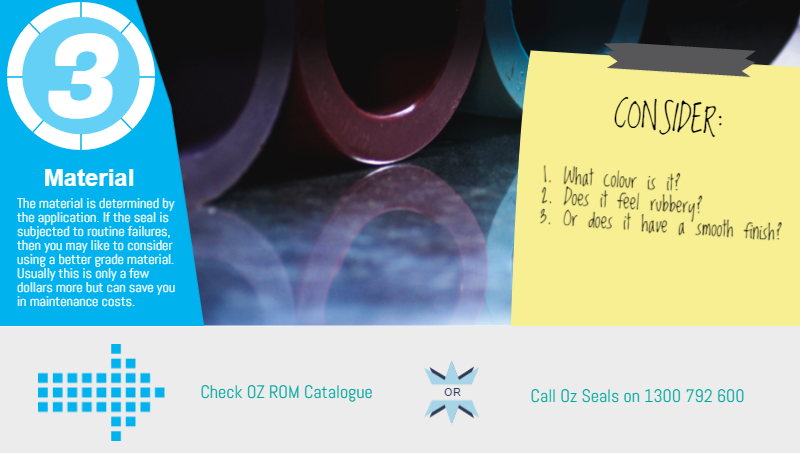 Speak to an expert at Oz Seals by calling 1300 792 600.